our shoes package dont inc shoes box. New Nike Womens Lunarstelos Running Trainers Sneakers Shoes Size 4.5 37.5. Dispatched with Royal Mail 2nd Class. You are looking at a pair of Fila Disruptor II trainers in a black and pink colourway. They are made from a synthetic suede upper and feature a pink. They have secure lace up fastening. There are minor marks to the midsoles and undersoles on both trainers. They are crafted with a Flyknit upper, feature sock-like construction, Zoom Air cushioning, heel pull tab, and a durable rubber outsole. This updated version of the Nike Air Mariah, which originally released in 1980s, features modern tech and lightweight construction. WOMENS ADIDAS PURPLE FIT FOAM TRAINERS - Size UK 4.5 EUR 37 1/3 Super comfy trainers, ideal for casual wear or gym/running. Only worn once and in immaculate condition (see photos) from a smoke free home. NO RESERVE!!! Converse All Star White sneakers uk size 4.5 , Condition is Used. Dispatched with Royal Mail 1st Class. You are looking at a pair of ladies Fila Disruptor II trainers in a white and orange colourway. They are made from a synthetic leather upper and feature a bulky retro profile. They have a bold silhouette and are rounded off with a chunky, jagged sole. Girls nike air force 1 white trainerssize 4.5uk. Usedwith a bit wear( Seelast picture) butotherwise in good condition. Mens/Ladies/Unisex All Star Navy Blue Summer Converse Pumps Shoes Size 4.5 These were bought abroad when on holiday Have been Worn but plenty of wear left in them Please see my other Ted Baker and Converses for sale. They were a gift in a colour that I would never wear. The trainers are totally flawless, but the box is a little bit battered as it was in the bottom of my closet. LADIES NEON PINK NIKE AIR MAX TRAINERS UK SIZE 4.5. IN GREAT CONDITION JUST A FEW SCUFF MARKS AND CREASE MARKS ON THE HEALS ( SEE PICTURES ) ANY QUESTIONS PLEASE ASK. Condition is used, only worn once or twice so looks new. Comes with box. Black and white. Size 4.5. Very comfortable and feel great on. Adidas Hamburg Trainers In White Size 4.5. Condition is New with box. Dispatched with Royal Mail 2nd Class recorded delivery. Size UK 4.5, US 6.5. Put a sophisticated finish on your weekend look with the original Prada sneaker from the Autumn / Winter 19 collection. These trainers are distinguished by the contemporary design of the logo on the side of the shoe and signature embellished strap. UK SIZE 4.5. LIGHT BONE/WHITE (896194-002). womans adidas trainers 4.5. Worn a handful of times as u can see frm the heel Condition is Used. Dispatched with Royal Mail 2nd Class. Nike Air Max 97. Size 4.5. Condition is Used. Dispatched with Royal Mail 2st Class. Womens adidas trainers size 4 Condition is Used had on 2 times Dispatched with Royal Mail 2nd Class. ADIDAS FLUX TRAINERS. FLORAL TRAINERS. 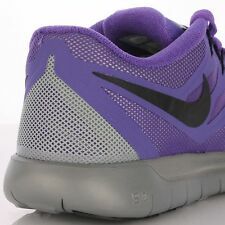 DESCRIBED AS MALE TRAINERS BUT SUITABLE FOR MALE OR FEMALE / GIRL / UNISEX. FROM ADIDAS. UK SIZE 4.5 (EU 37 1/3). THREE STRIPES. Whether in the hospital, the kitchen or the butcher. The rubber outsole is anti-slip and gives a good grip even on uncertain surfaces. The built for work in the SKECHERS WORK collection has a leather upper. In a white colourway, they are made with a premium leather upper which brings a luxe edge to the 3-Stripes style. Sat on a tonal midsole for cushioning and impact protection, these sneakers have a grippy outsole to keep them steppin'. LADIES SKECHERS RELEXED FIT UK SIZE 4.5 !!! Size UK4 EUR36.5 US6. New model from New Balance. The sole made from high-quality material has good adhesion to surfaces. New Balance claims to differentiate their products with technical features, such as blended gel inserts, heel counters, and a greater selection of sizes.